Packing can sometimes be a chore, and when you have to do it in a short period of time, it can also become stressful. Whether you have a week or only one day to pack, there are some things you can do to make the process more efficient. And also to ensure that everything gets where it needs to go. Here’s a guide for packing your bedroom in a hurry. Remember to breathe. Packing your bedroom in a hurry may seem like a lot. And you may also think that you’ll never be able to do it is such short notice. But, you will. Just because it seems impossible doesn’t mean it is. The key is to take it to step by step. If you don’t have enough time to do it by yourself, call the professionals and make the packing process simple and easy. Having a checklist of things you need to get done can help your packing process run as smoothly as possible. A checklist will help you keep track of your priority packing goals. Also, a checklist will help you know when certain tasks need to be done, and where things need to go. It will also serve as a reminder in case you forget something. 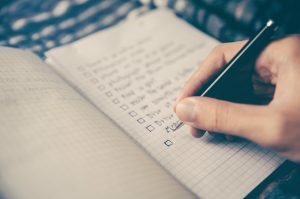 A checklist can be an essential part of staying motivated and getting everything done on time. And especially if you are packing your bedroom in a hurry. Check out the ultimate moving checklist. Making a checklist before you start packing your bedroom in a hurry will save you time and troubles. Before you start packing your bedroom in a hurry, you should organize everything you are packing. Everything. Make piles based on where the object is going. Are you keeping it? Throwing it away? Donating or storing it? Put it in the corresponding pile. You can also make a “Maybe” pile for items you can’t decide should you keep it or not. This will allow you to keep moving and saving you valuable minutes of packing time. The pile doesn’t have to be neat and tidy, it just has to have a designation. When you have clearly defined piles, you get a better idea of how much you have. Moving and packing your bedroom in a hurry can actually be a blessing in disguise. The deadline means that you will be more decisive about what stays and what goes. Never going to use it again? If the item is still in good condition, find a place to donate it. Otherwise, throw it away. Also, it is recommendable to bag the items you are getting rid of as you go. This way you don’t have the temptation to try and take something back. If you haven’t used it or worn it for years, give it away or toss it. Try moving your dresser as is. If the clothing is light enough, you may not have to remove it, saving time and energy. 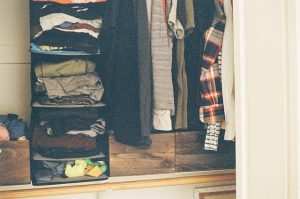 Use wardrobe boxes or bags to pack clothes, hangers and all. This can save you packing time, and post-moving ironing. If you are really in a hurry, a garbage bag, and some twist-ties can also do the trick. Use your clothes to wrap your breakables. 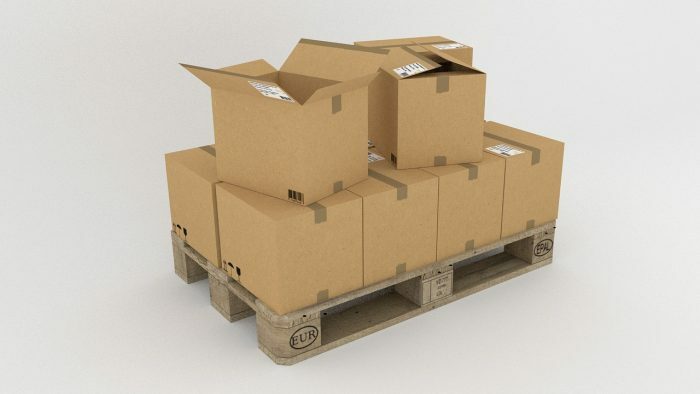 This minimizes the amount of packing material you need and helps reduce the number of boxes you need to move. When it comes to the jewelry pack them so you can carry them with you. In case you don’t know how to pack, or you don’t have time to do it, consider Oakland based professionals that can help you move. Most people recommend used boxes or plastic bins. But, for packing your bedroom in a hurry you don’t want to be scrambling for a properly sized packing container. Buy everything you need to streamline your packing process. Including packing boxes, bubble wrap, and tape. Also, don’t make any boxes too heavy. If you can’t easily lift it, try spreading the contents to other light boxes. Gather packing supplies and start packing strategically. Many hands really do make light work. So call your friends or hire professional packers for packing your bedroom in a hurry. If you decide to call them, make sure that you have some idea of what you need them to do. Consult your checklist to help keep everything organized. Packing bedroom furniture, bedding, carpets, and curtains is another task. Put all bedding linen and curtains in plastic bags, and then in boxes. This way you will protect them from any dirt. Carpets and mattresses should also be covered. You should use mattresses covers. If you can’t find the size you need, ask your moving company for a solution. If you have any valuables such as antiques and expensive paintings, contact your movers in advance. All these need special packing materials and transport conditions. After packing all your small bedroom furniture pieces, you now have room for packing the larger furniture pieces. Check if your bed, wardrobe and other drawers can be disassembled into smaller pieces. But, don’t experiment with your furniture. Because you need to put it all back together when you arrive at the new location. So save all the nuts and bolts while disassembling and mark them in advance. Pack bedroom furniture very carefully. Use all extra measure packing materials. Like bubble wrap, blankets (or furniture pads) and all other appropriate covering materials. Also, if your bedroom items can’t be dismantled fully, inform your movers to find a solution. Sometimes moving the big bedroom furniture items is going through the window. 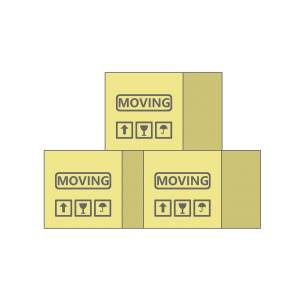 After packing your bedroom in a hurry, label all the boxes with their contents. You will save time when unpacking in your new bedroom.